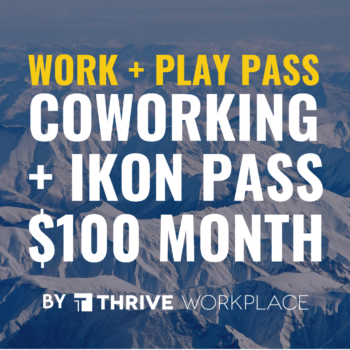 Full Ikon Pass as a subscription. Drop us a line and we will work with you to create the perfect workplace for your needs. From 4 to 40 people – includes a display, conference phone (upon request), and whiteboard. Please see each location for availability. A secure mailing address at Thrive that you can use for your business.